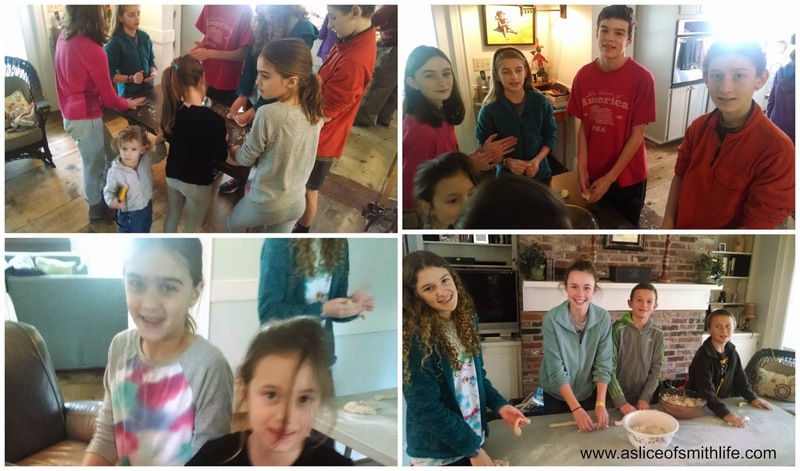 Last Friday on February 27, some of our homeschool families met for our annual breadmaking afternooon in preparation for our annual St. Joseph feast day celebration that we have each year on or around St. Joseph's feast day (March 19). 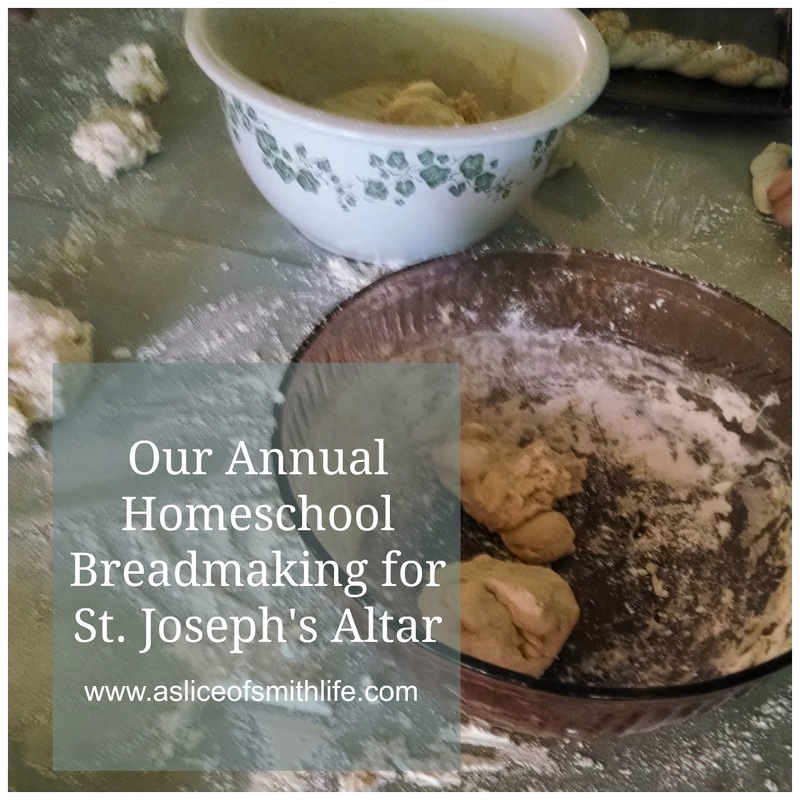 We've been making the bread for many years now and have celebrated St. Joseph's feast day with an altar, food and fellowship for over 10 years now with our homeschool group! 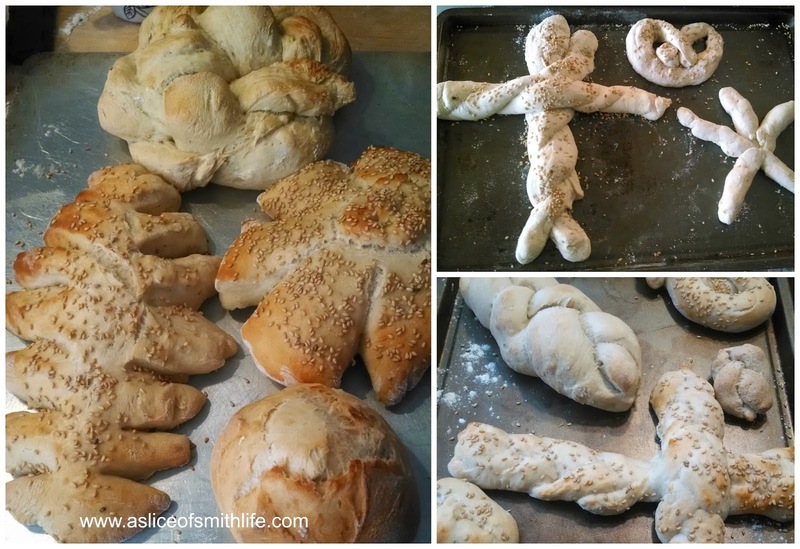 Each family brings homemade bread dough and then the kids shape the bread into various creations. 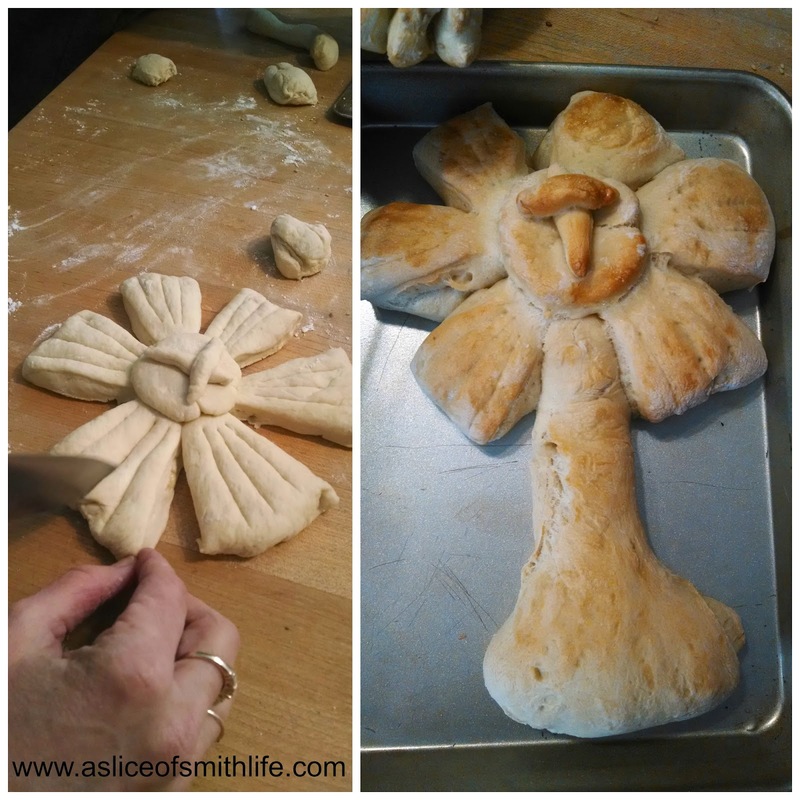 Some popular shapes are fish, crosses, ferns, a staff to represent St. Joseph's staff, pretzel shapes, monstrance, braids, crowns, and the spelling of "St. Joseph." 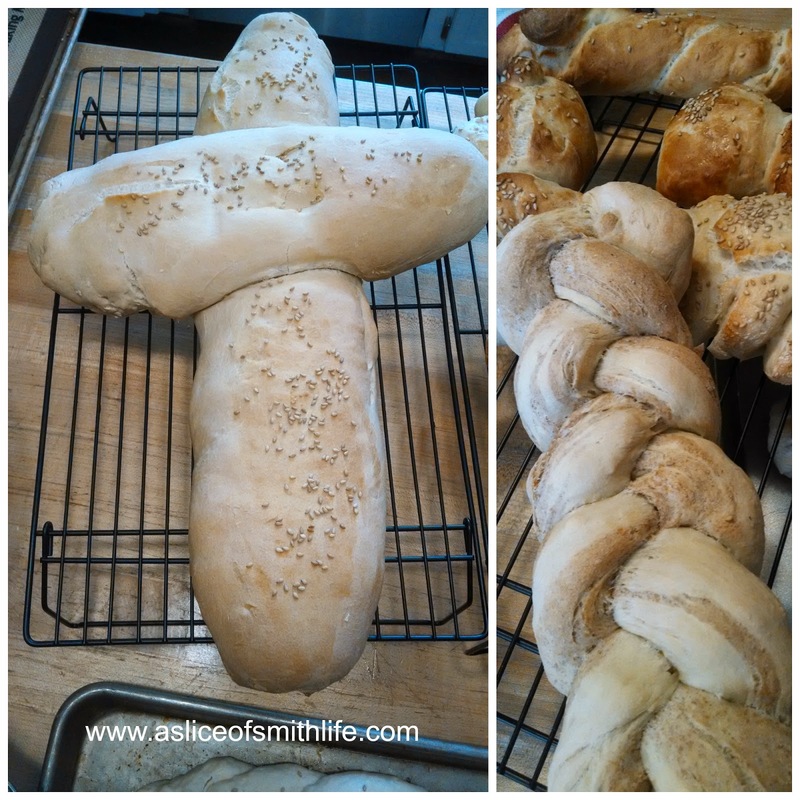 We then bake it and freeze the bread to then set out the decorative breads on the St. Joseph altar that we have a few weeks following our breadmaking afternoon. 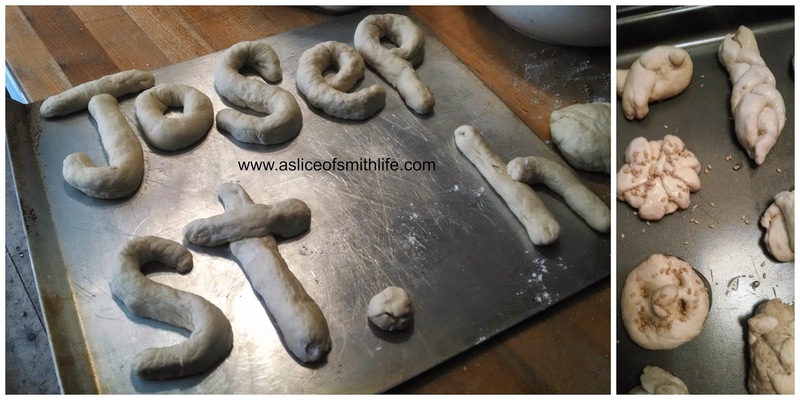 The annual St. Joseph feast day celebration is usually on a Sunday afternoon closest to March 19 so all the Dads in our homeschool group can attend this special and joyous celebration. 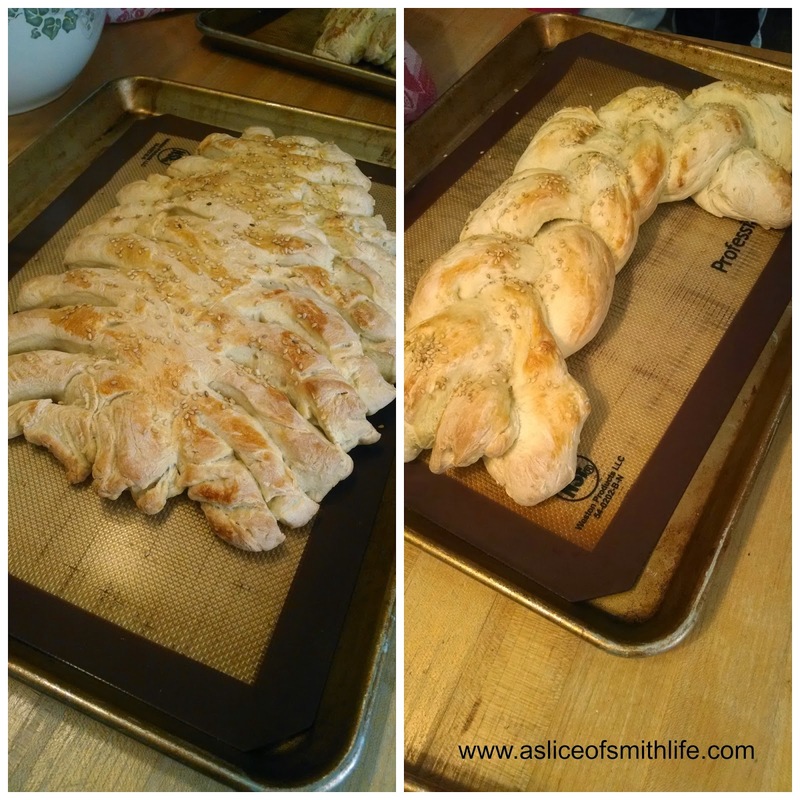 I blogged about our breadmaking tradition in 2011, 2012, 2013, and 2014. For a history of St. Joseph's feast day and St. Joseph altars, be sure to read my post HERE that tells all about it, including black and white photos of when my Dad was a little boy and how he celebrated St. Joseph's feast day with very elaborate and decorative altars. This was a beautiful monstrance made by a mother/daughter team! 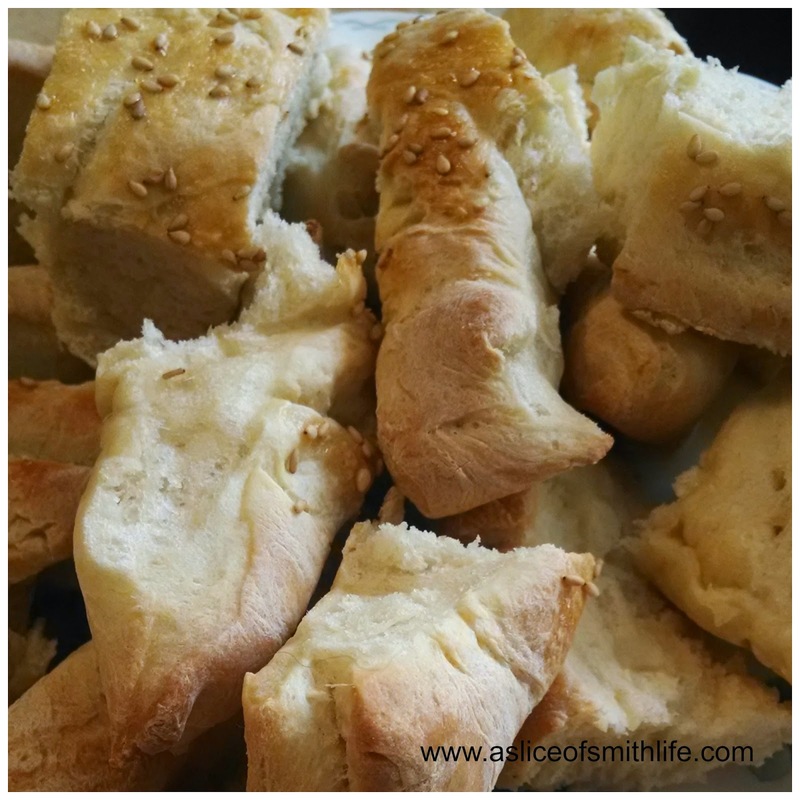 The delicious bread samples are always a hit! 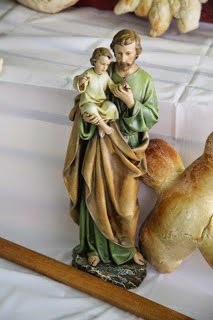 We are looking forward to our St. Joseph feast day celebration on Sunday afternoon March 22, 2015 where the various breads will be placed on the St. Joseph altar to add to this special Saint's feast day! Speaking of Saints, did you know that today, March 4th, is Saint Casimir of Poland's feast day? You can find out more about him at SaintNook, where the Saints are always online! Be sure to check out SaintNook's Facebook page too where the Saints are posting links and interacting on social media there as well! I am blessed to be a part of the SaintNook team and we are always looking for more help to continue to bring more Saints online! If you would like to be a part of the SaintNook team contact us! What a wonderful display of bread!!! And a wonderful tradition of celebration for St. Joseph. Thank you for sharing about today's saint as well. I've always loved seeing your posts on your St. Joseph's altar, Tracy! Thanks so much for your kind comments! I always enjoy your visits and I'm so glad you find my posts educational and inspiring :) There's so much beauty with our Catholic faith, isn't there? God bless! St. Joseph's feast day is a tradition I'm so glad to be able to do with our homeschool group because if I was on my own, it wouldn't be as easy or fun to do maybe :) I'm glad you like the St. Joseph posts :) God bless!